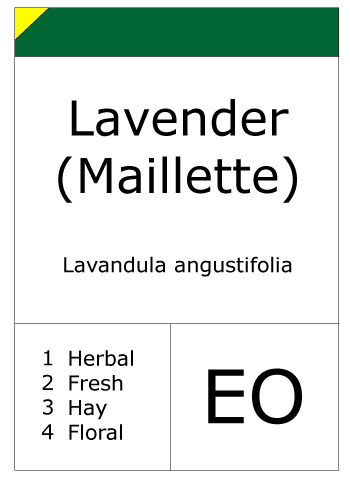 The lavenders (botanic name Lavandula) is a genus of 39 species of flowering plants in the mint family, Lamiaceae. 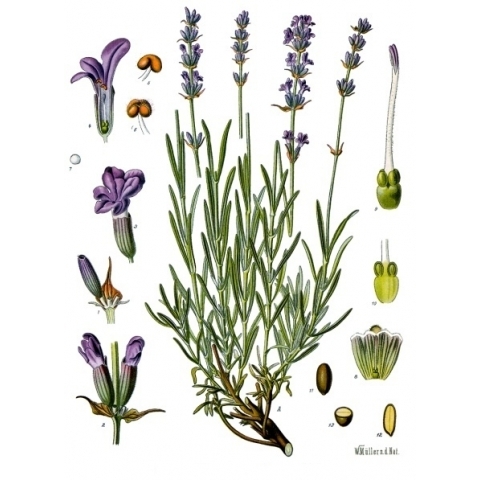 It is native to the Old World and is found from Cape Verde and Canary Islands, southern Europe across to northern and eastern Africa, the Mediterranean, south-west Asia to south-east India. 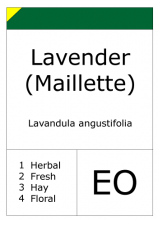 The main chemical components of lavender oil are a-pinene, limonene, 1,8-cineole, cis-ocimene, trans-ocimene, 3-octanone, camphor, linalool, linalyl acetate, caryophyllene, terpinen-4-ol and lavendulyl acetate.